Finding Healthy Snacks for children isn't always easy is it? Like most children my three all have very different tastes and likes, and although they all are good eaters its sometimes hard to ensure they are getting a variety of everything they need. With a huge amount of information around about what is and isn't good for you these days its often hard to find what really makes a healthy snack that children will actually want to eat with out too much fuss. 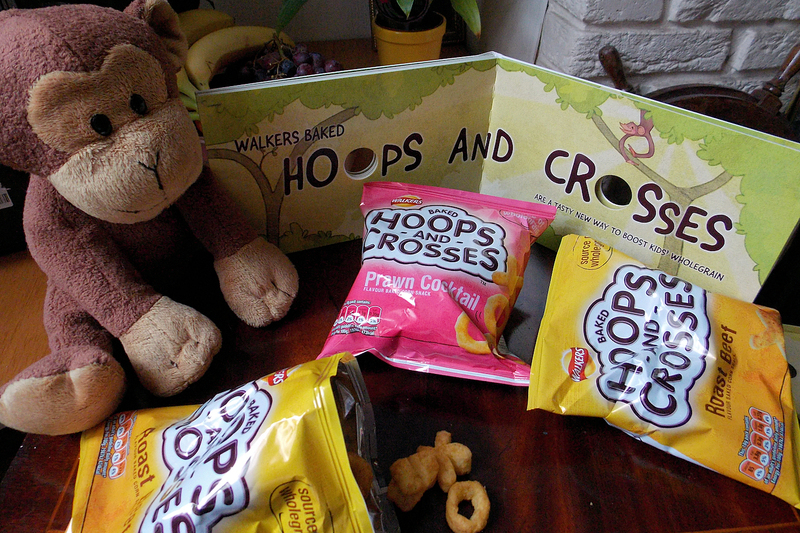 We recently received a packet of new Walkers Hoops and Crosses to review, which are a brand new baked whole grain snack, my three couldn't wait to tuck in so we took them along with us on a picnic with our cousins, however with 7 children the hoops and crosses were all ate before I even had chance to grab my camera, every child loved them. Luckily we were also sent an information booklet and a rather cute Monkey which I could photograph, so all was not lost. 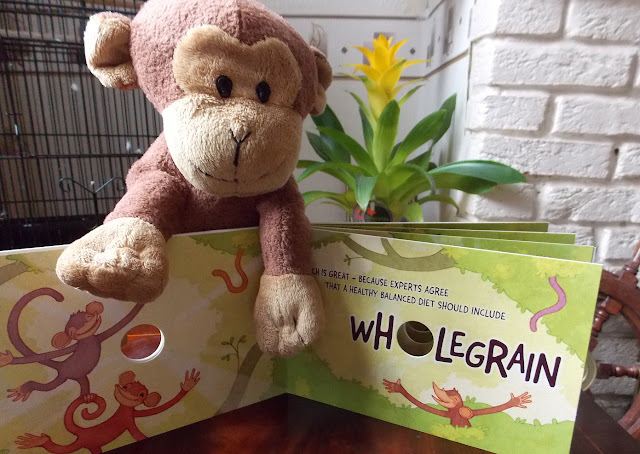 Hoops and Crosses are made with 56% Wholegrain, which is recommended by experts as part of a healthy diet, but a staggering 27% of children in the UK don't actually get any at all. Lots of products which children like such as white bread, pasta and white flour contain refined grain, which don't have the same health benefits of antioxidants found in the wheat germ. So its great to see a snack which children happily eat contain wholegrain with all the added benefits. 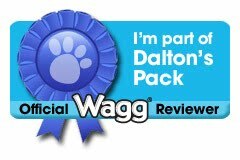 Because my three monkeys devoured the review sample we were sent, I sourced out more in my local Morrisons. 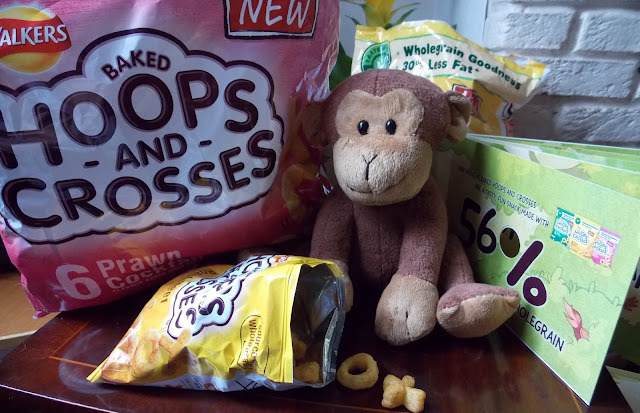 Which has 6 packs of Hoops and Crosses available for £1 A real bargain, so I topped up our snack cupboard and had a chance to try them myself. As the name suggests they are shaped in Hoops and Crosses, I guess you could use them to play your very own game of tic tac toe, but really playing with food isn't always that practical, and bedsides these baked snacks are too morish to spend time not eating them! 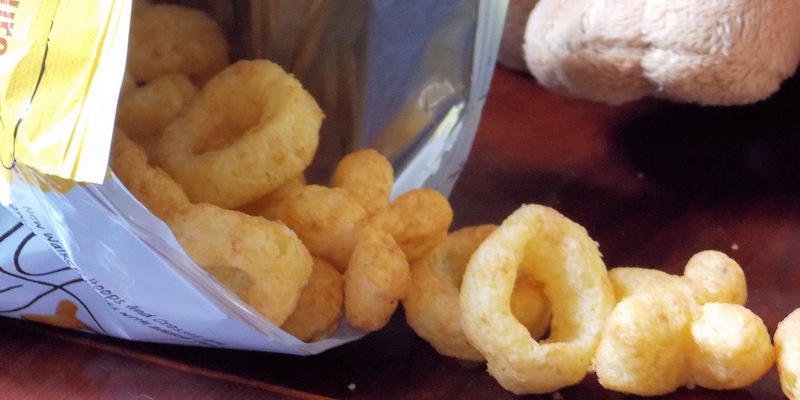 They are very much like Monster Munch in texture. With three flavours to choose from Beef, Salt and Vinegar and Prawn Cocktail. 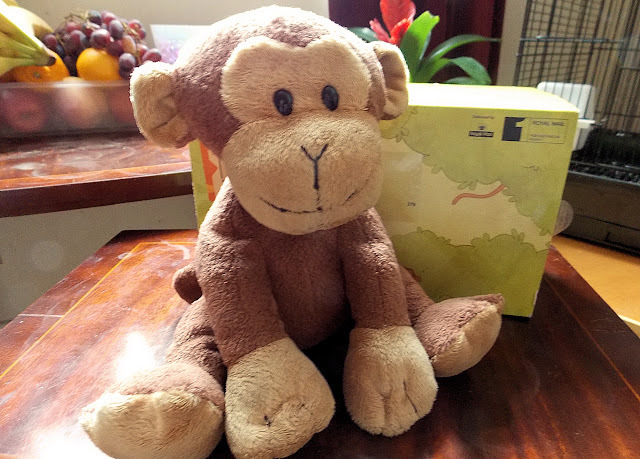 We were sent one packet of Hoops and Crosses beef flavour to review along with Monty monkey and I received a payment to post on my blog - but all views are my own and we really do love them which is why I went and brought more myself!